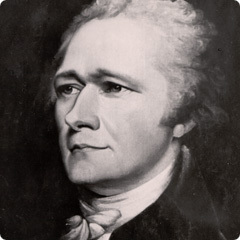 The Weehawken Public Library will be hosting an event on Sunday, July 9th 2017 at 1:00 PM to dedicate a bust of Alexander Hamilton. This bust (by Rapetti) once graced the Hamilton National Bank building, which was demolished. This bust was recently recovered by the WHC and will grace our town library. Refreshments will be served after the ceremony. The library is located at 49 Hauxhurst Avenue in Weehawken.